The lawsuit, filed on Wednesday by major trade groups representing broadband companies, is the second major lawsuit filed against the state over the law — the first was brought by the Justice Department. 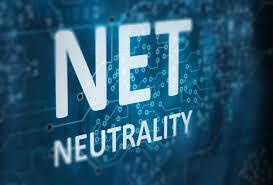 On Sunday evening, California Governor Jerry Brown signed what is considered to be the strictest net neutrality law in the country. Under the law, internet service providers will not be allowed to block or slow specific types of content or applications, or charge apps or companies fees for faster access to customers. This entry was posted in News and Views and tagged california, Goggle, internet industry, net neutrality, net neutrality law. Bookmark the permalink.